This recipe is dedicated to my friend Ephraim. He told me last week that he’s only ever tasted disgusting, dry honey cake and has all but given up on the possibility of a good honey cake. Instead, he says, make an apple cake. 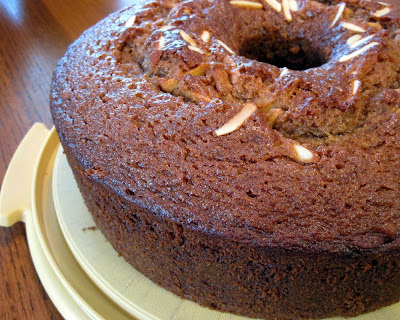 I promised him that not good, but GREAT honey cake is within reach, and he said he would be waiting for that recipe on my blog. Well, here it is. And I can think of probably 5 more incredible honey cake recipes, too. 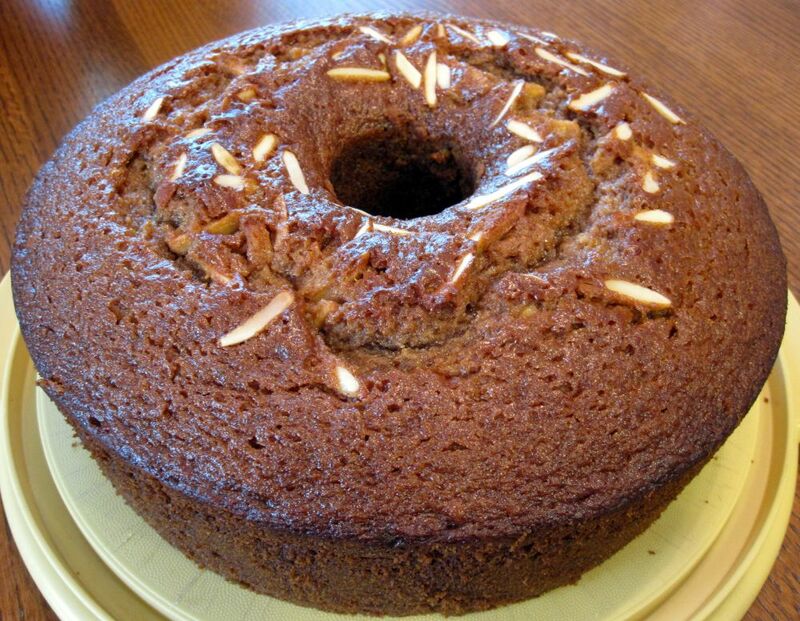 So for those like Ephraim who have yet to taste a delicious honey cake, today is your lucky day. End the suffering. Drop everything and bake this right now! 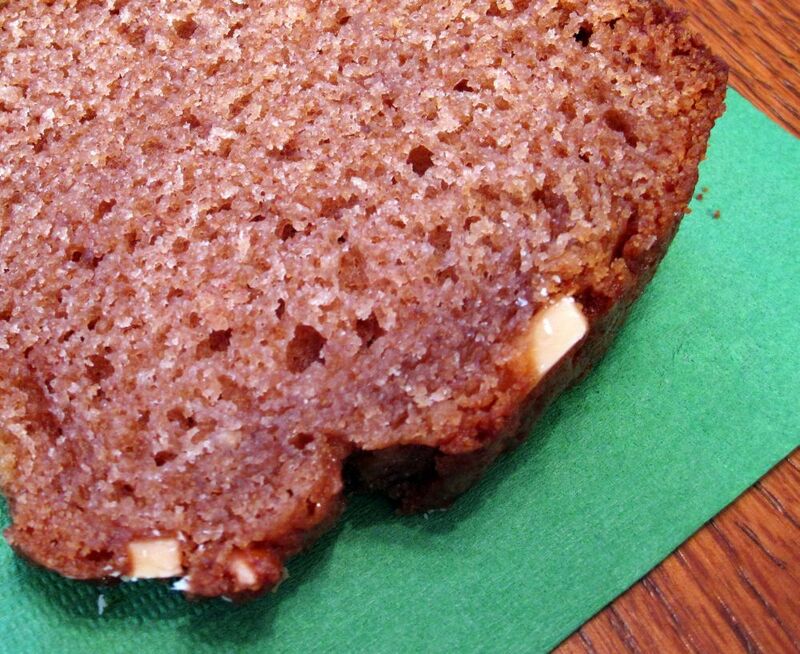 While honey cake is a tradition for Rosh Hashanah, the Jewish New Year, it is also a perfect year round snacking cake to serve with a cup of tea. Because it is moist from the honey and oil, it will stay fresh and delicious for more days than many other desserts. So, despite your desire to devour the whole thing in one sitting, which I promise you you’ll feel, keep in mind you can have the cake three days later and it’ll still put a smile on your face. But enough of the chit chat. Introducing...your first ever not-dry honey cake. Bon Appetit, Ephraim! 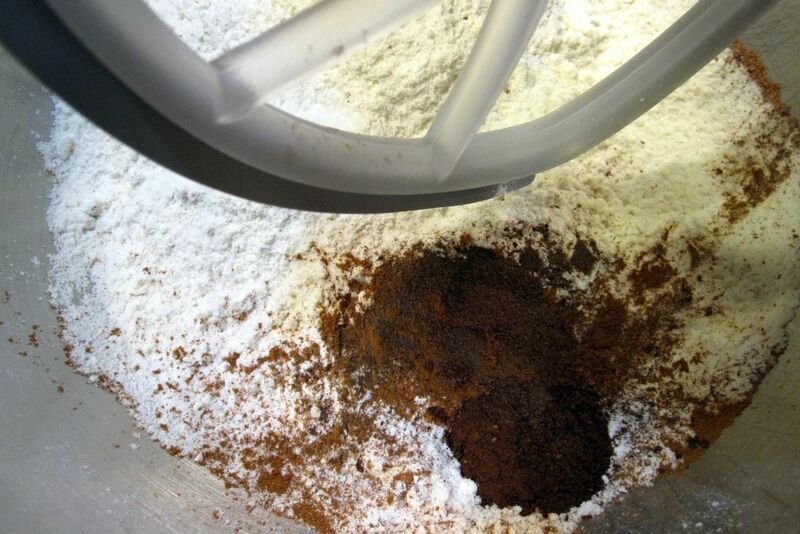 Preheat the oven to 350 degrees F. Grease the bottom of a 9- or 10-inch tube pan. Cut out a circle of parchment paper (you’ll have to poke out the center of it) and line the bottom of the pan. You are going to need two bowls: a medium mixing bowl for wet ingredients and a large mixing bowl (preferably the one attached to your stand mixer) for dry ingredients. 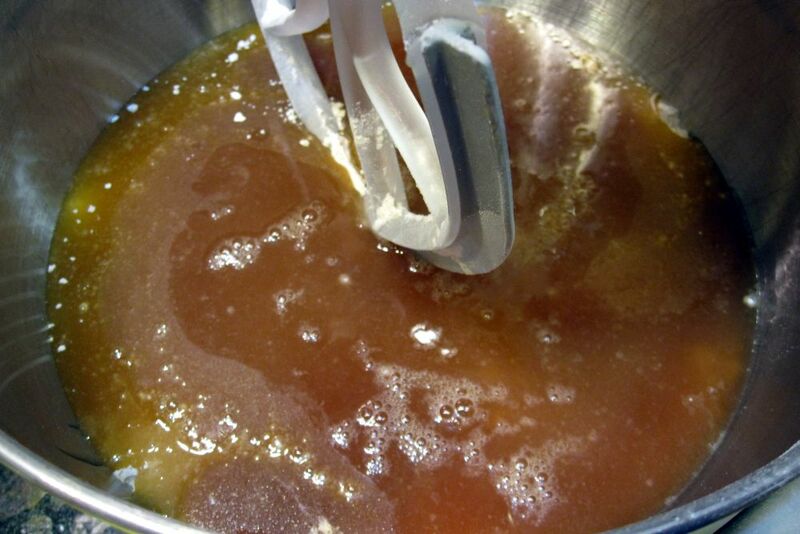 In the medium bowl, combine the oil, honey, granulated sugar, brown sugar, and marmalade and stir until well combined. 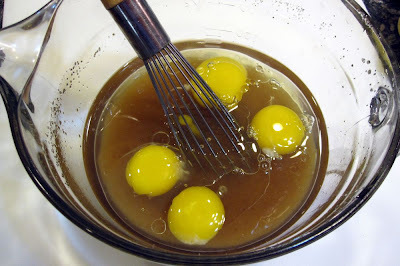 Then add the eggs. In the large bowl, whisk together the dry ingredients: flour, salt, baking soda, baking powder, cinnamon, cloves, and allspice. 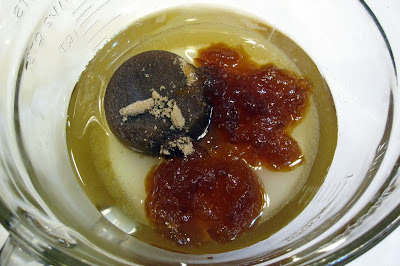 Make a well in the center of the dry ingredients and pour in the contents of the medium bowl (the wet mixture). Add the warm brewed tea. Blend by hand or use your mixer on low until you get a smooth batter. 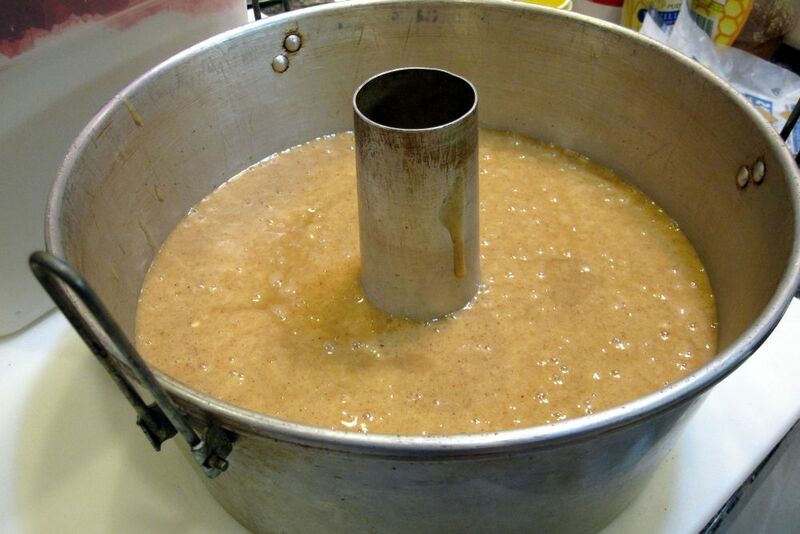 Pour the cake batter into the greased, lined tube pan. 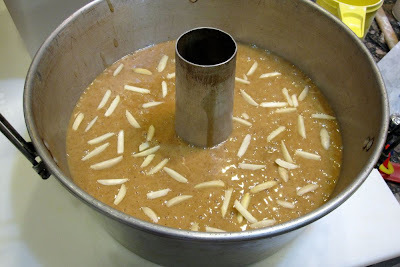 Sprinkle the top with slivered almonds. Place the pan on top of a baking sheet and bake the cake for 55 to 60 minutes. 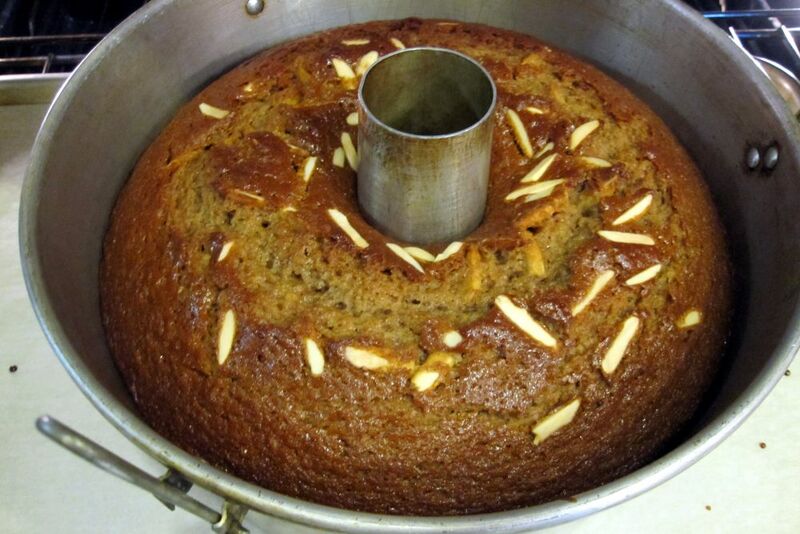 To check for doneness, press the top of the cake lightly with your fingertip and it should spring back. Cool in the pan for 15 minutes, then take a knife around the outside and inside rims to loosen from the edges. Invert onto a cooling rack. 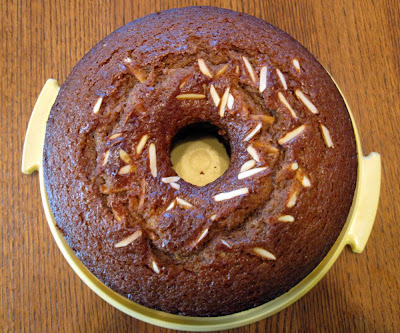 If you want, dust the cake with confectioners’ sugar and shredded orange zest when completely cooled. I don’t think it needs the extra garnish because the slivered almonds would be hidden and they are a beautiful topping already. There you have it! 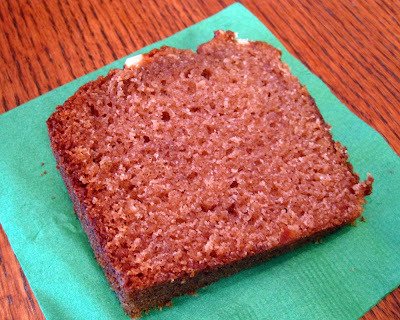 A very moist honey cake! I just got a cup of tea and thanks for reminding me...I have one piece of cake you left for me! I definitely don't plan to wait until next Rosh Hashanah to have that cake again. I loved it! Loling !!! I can't wait to make it. I'm gonna try it I promise. Just made the cake for Rosh Hashana, then realized when reading the recipe over again that I forgot the vanilla! Is this a big deal? Avrum - Don't worry! The vanilla would enhance the flavor but there's so much going for this cake that it will be delicious even without the vanilla. And it doesn't affect the texture whatsoever. Bon appetit! Shanah tovah!